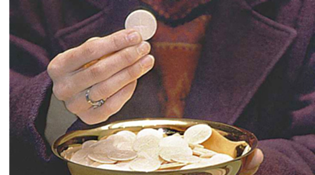 Extraordinary Ministers of the Eucharist are authorized by the Archbishop to distribute Communion in church and to the sick and shut-ins at home. This ministry is open to those who are at least 21 years of age. Training takes place at Our Lady of Lourdes and is conducted by Pat Peters. Ministers have the option of selecting the Mass(es) to attend and are scheduled accordingly.